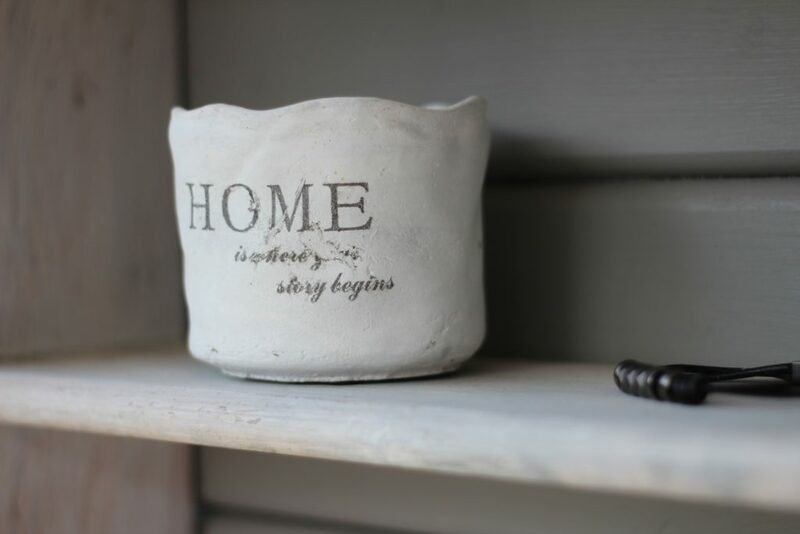 Are you an empty nester who feels like you’re knocking around in an unnecessarily big house? Perhaps you’re thinking of moving from the suburbs into a city apartment? Or maybe you’re in your later years and looking to downsize from your family home. Whatever stage of life you’re at, it can bring different needs in terms of your living arrangements. Various life events can also trigger the need for a home transition. Whatever your reason, it can be an overwhelming process. 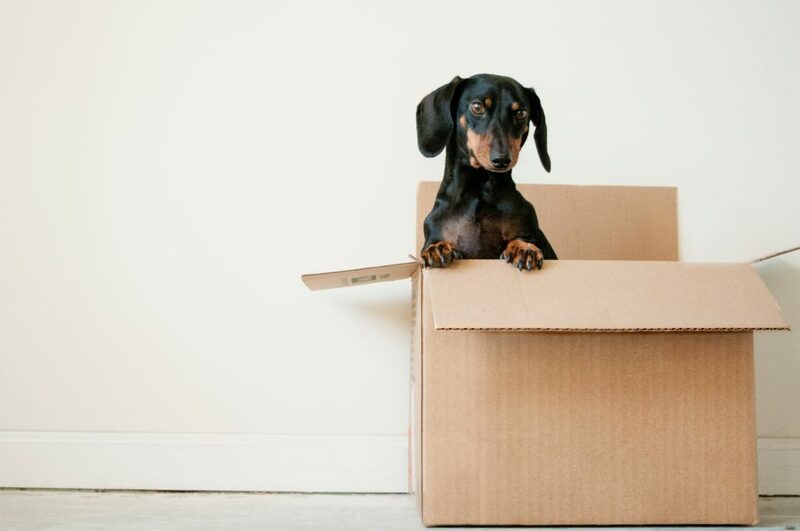 Read on for some essential tips for downsizing your home. There are many different reasons for home transitions. A family transition could be due to a job promotion, or a change of assignment, which requires you to move out of state or even overseas. It could be down to a change in personal circumstances such as divorce or marriage. Late-life transitions can involve moving into a smaller home, an assisted living facility or going to live with your adult children and their families. All of these situations could require downsizing your property. It seems that an overwhelming number of people are actually looking to downsize their property these days. Sometimes things happen in life that means we need to downsize our home or we may just feel like we want to live more modestly. Parents who have kids away at college may no longer need all the extra space. Who wants to keep dusting all those empty rooms? Older people might start thinking about moving into a smaller property or assisted living facility. In their later years, it can be difficult for them to continue managing the family home. There are people who might want to move from the suburbs into a smaller city apartment to be closer to work or in a better neighborhood. After a divorce, one or both parties often move into a smaller property. However, you don’t necessarily need a reason other than just because you want to. How nice would it be to completely declutter and simplify your life? 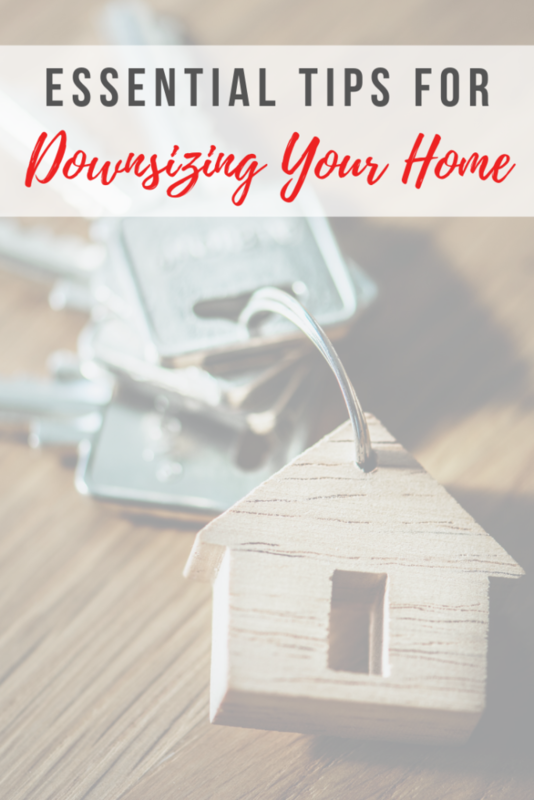 So what’s the most important thing to consider when downsizing? You need to think about your personal needs and make a plan accordingly. What are your reasons for downsizing, is it to save money? Is it to lead a more minimal life that’s free from clutter? Is it to reduce the need for as much cleaning and maintenance? Maybe you need the money to pay for medical bills? It can be a highly emotional decision and also difficult to know where to start. Packing up a lifetime of belongings and moving into a smaller property is not something you can do overnight. Let’s face it, you didn’t accumulate all your stuff overnight did you? Before you can even think about fitting into a smaller home, you’ll need to make a plan and start preparing. You’ll need to seriously reduce the amount of stuff you’ve accumulated over the years. This can be overwhelming and very emotional, especially for older people. It may be wise to enlist some professional help in this situation. They’ll help you to come up with a strategy and make a list of everything that you need to do. In fact, just knowing in advance what you need to take care of can greatly reduce stress. These can be things like organizing a moving company, transferring your details, disconnecting and transferring services and selling and donating your belongings. Another helpful tip is to make a floor plan of the smaller property and start figuring out what’s going to fit and what isn’t. You can do this with a pen and paper or you can use an online program such as Sweet Home 3-D. You don’t want to end up feeling cramped so you may need to make some difficult decisions when it comes to your furniture. It might be worth your while completely starting afresh and buying furniture that doubles up as storage in order to make better use of your smaller space. There are some great places to find stylish but inexpensive storage solutions such as Ikea and The Container Store. You’ll need to sort your belongings into items to keep and items to either sell or donate. You’ll want to keep what’s important to you but not over-hoard. 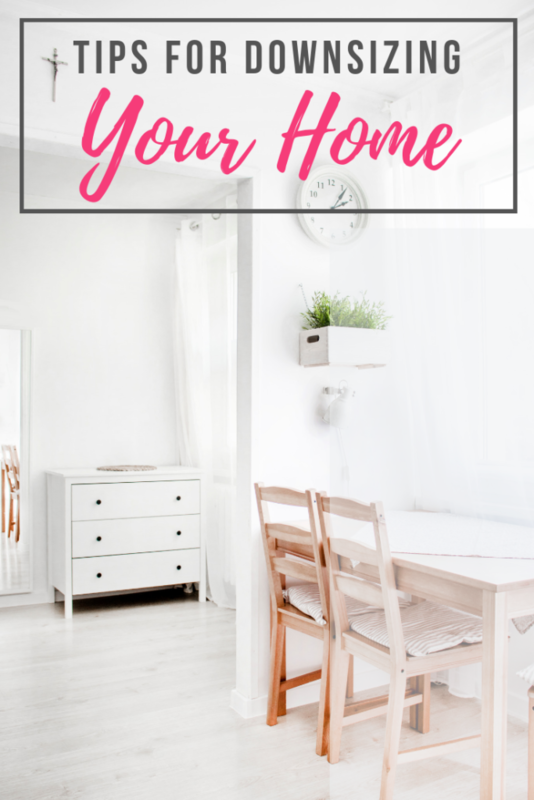 My previous How To blogs (How To Live Minimally and the KonMari Organizing Method) will give you some great de-cluttering and organization tips. If you aren’t sure about something, put it into storage and come back to it another time. A good tip is to start clearing out rooms that don’t contain sentimental items. If you start with the laundry room, bathrooms, and kitchen, you’re less likely to get sidetracked with reminiscing. You’ll feel like you’re making progress, which will encourage you to keep going. You can then finish up with rooms that contain important mementos so you can spend longer deciding what you’d like to keep. You could also photograph the rooms so you have the memories forever, especially if you’re leaving a family home after many years. For any belongings that you plan to sell, try taking them to an antique or a vintage shop. If you (or someone you know!) are tech-savvy, you can always try selling them online through websites such as eBay or Craigslist. Items such as furniture, books, and other household objects can be donated to places such as Goodwill, Habitat for Humanity, and AMVETS. These places will collect things from you and take them away, saving you precious time and energy! You may be surprised at how emotional the process of downsizing is. It can signify the end of one era and the beginning of another – and this can be a tough transition. Even adult children can have a hard time with this change, and may even be resistant to you discarding items of which they have fond memories. This is where having an outsider to help can be hugely beneficial. A professional organizer will be able to look at things objectively and assist you in making smart decisions about what to keep and what to let go of. This is just a brief overview of some of the reasons for downsizing your home. There are many things you’ll need to consider before you go ahead. Life is a varied journey and as a result, we’ll have different living requirements at different stages. Sometimes this can be due to a natural progression such as getting older or children leaving home. Other times it can be due to unexpected events such as divorce or the death of a spouse. It could just be because you want to lead a more simple life. It can be a great way for families to teach organizational skills to their kids. And save money! The key is for you to be prepared and do as much research as possible beforehand. This will make for a much smoother transition into a smaller place. Start decluttering and reducing your belongings early so you don’t have a last minute panic. It can be an emotional process and you don’t want to rush your decisions about what to get rid of. Don’t forget to enlist the help of a professional mover or organizer. This will help to take the pressure off and make it a less stressful experience. 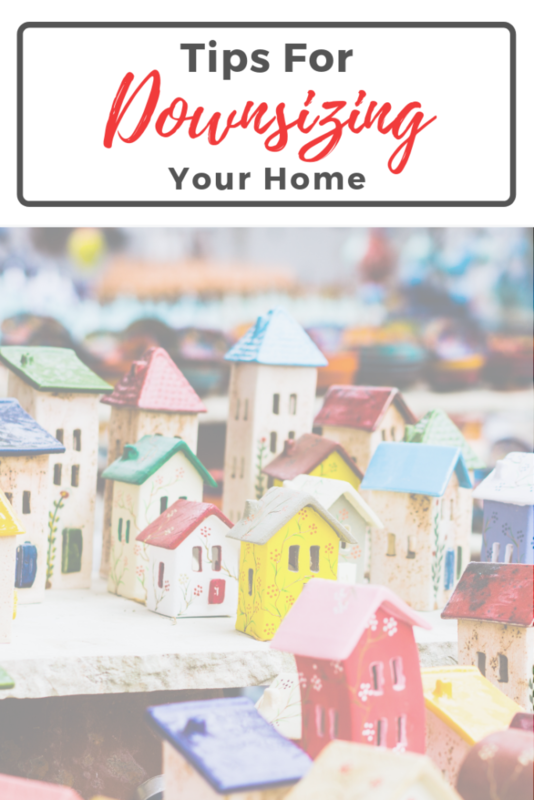 Most importantly, try to focus on the end result and your reason for downsizing your home. This could be saving money, living closer to work or family, or simply living a more simple, clutter-free life!